Matt Moulson would be a near-perfect fit with the Los Angeles Kings (Rich Kane/Icon SMI). Much has been made recently about the Seattle Seahawks’ road to their dominating Super Bowl victory over the Denver Broncos this past season. Specifically, how so many of their players were drafted in the 3rd round or lower, including two-time Pro Bowl quarterback Russell Wilson (3rd) and two-time All Pro cornerback Richard Sherman (5th). Although the Seahawks had an unusual amount of ‘bargain’ investments that paid off, one of the beauties of sports is that similar potential exists everywhere — including in the National Hockey League. With little fanfare, the 6’1″, 205-pound left winger was drafted by the Pittsburgh Penguins in 2003. For those of you with short attention spans, the 2003 draft class has generally been considered amongst the very best in league history. The list is too long to fully enumerate here, but includes such standouts as Eric Staal, Thomas Vanek, Jeff Carter, Dustin Brown, Zach Parise, Ryan Getzlaf, and Corey Perry, to name just a few. Buried far down the list in the final round of the draft (a round that no longer even exists today) was Matt Moulson, a 19 year old out of North York, Ontario. Unheralded heading into the draft, Moulson played four seasons at Cornell, and upon signing as a free agent with the Los Angeles Kings, three more with the AHL’s Manchester Monarchs. Sure, he scored 74 goals and registered 160 total points in 188 minor league games, but that’s hardly a guarantee of NHL fame and fortune. Monarchs teammate Gabe Gauthier, currently toiling for the CHL’s Denver Cutthroats, had four more points that Molson during the 2007-08 season. Too small. Too slow. Not talented enough. Moulson heard all of these things and more, even as teenager. His stint with the Kings was exceedingly brief, nowhere nearly long enough to dispel those criticisms. After just 29 games in parts of two seasons with Los Angeles, he became a free agent again after the 2007-08 season and was signed by the New York Islanders. Given the playing time in New York that he failed to consistently received with the Kings, Moulson scored 21 goals in 54 games during 2008-09, followed by three consecutive 30+ goal seasons. Although his goal scoring pace dropped slightly during the lockout-shortened 2012-13 campaign, he nevertheless tallied 44 points in 47 games, by far the highest per-game average of his career. 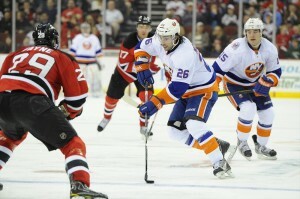 This season, Moulson has split time with the New York Islanders and the Buffalo Sabres. Despite having just played 40 games for Buffalo, he’s the team’s third-leading scorer amongst forwards. With Buffalo mired in last place in the East, coupled with his expiring contract, he’s a cinch to be traded before the deadline. But to where? Dwight King has been the only bright spot at left wing in L.A. this year (Matt Kartozian-US PRESSWIRE). It’s hardly a league-wide secret that the Kings are in dire need of scoring, particularly from the left side. Granted, the team is still very much in the thick of the race in the West, sitting seventh with a 31-22-6 record. However, as of this writing, Los Angeles is scoring at a 2.25 goals/game clip, a lowly 29th overall in the NHL. The reasons remain a bit of a frustrating mystery, as on paper, the team’s personnel ranks amongst the league’s very best. In particular, production from the left wing has been notably absent. Dustin Brown is having the worst season of his career, and with the exception of the surprising Dwight King, nobody has distinguished themselves from the left side so far this year. Not at all. Los Angeles is scoring on just 7.26% of shots taken, amongst the lowest rates in the league. Clearly, the team doesn’t need more bulk (not a Moulson strength) or grit (ditto). It needs someone who can light the lamp with consistency. Outside of Jeff Carter and (when he chooses to shoot the puck) Anze Kopitar, that just hasn’t been the case. As it happens, that’s precisely the skill set Matt Moulson provides. For his career, Moulson has scored at a hot 13.5% rate, nearly twice that of the Kings’ shooters this season. By comparison, sniper Jeff Carter’s career conversion rate is 11.5%. 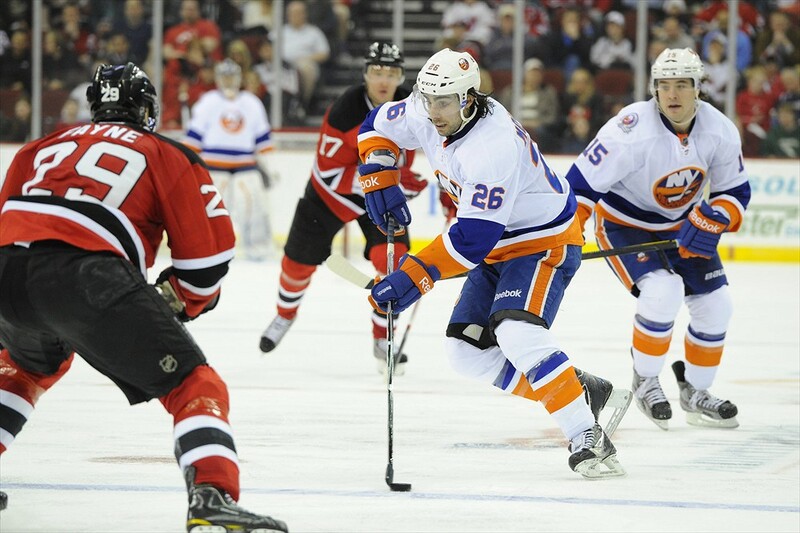 As the trade deadline approaches, there will be suitors for Matt Moulson, and plenty of them. According to this report, as many as a dozen teams will be in on the sweepstakes. This will drive his price tag upwards, and for a player who could become a free agent after this season, that’s a significant price a potential buyer must be willing to pay. Thanks to General Manager Dean Lombardi’s top-to-bottom rebuild of the organization, the Kings have the requisite trade capital. The team now has a very solid farm system, one from which a tantalizing package of prospects could be offered to the Sabres. Linden Vey, Tanner Pearson, and/or one of several nearly NHL-ready defensemen would very possibly be on the block, not to mention one or more of the club’s 2014 draft picks. For all the reasons stated above and more, Moulson should be high on the team’s list of targets to solve their problems at left wing this year. As opposed to his previous cup-of-coffee stint with the Kings, this time he’d play a featured top-six role on a legitimate contender that’s just two seasons removed from hoisting the Cup. And hey, he might not even be a rental player. 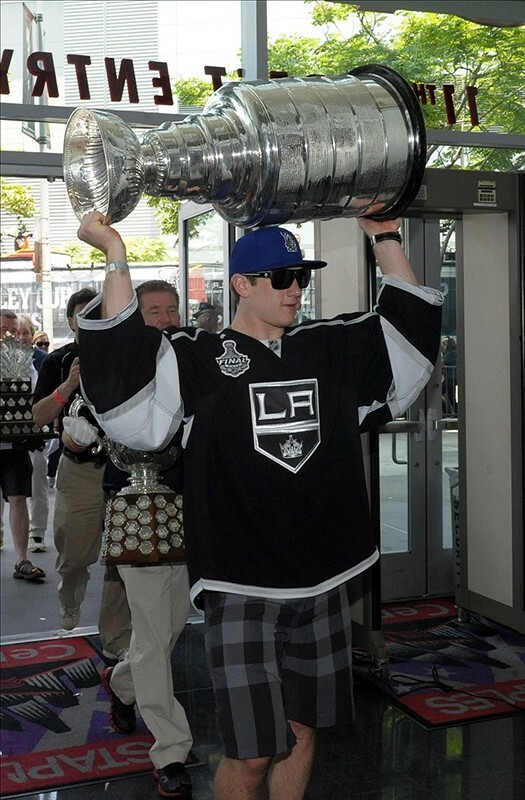 Not only are there the obvious Southern California advantages of sun, surf and bikinis to consider, but Jonathan Quick is his brother-in-law. Just imagine the conversations they could have around the dinner table at Thanksgiving. On second thought, better keep your eyes off those bikinis, Matt.